DELIVERY: $10 flat rate for up to two bottles per package anywhere in Australia. We are taking orders for next shipment. 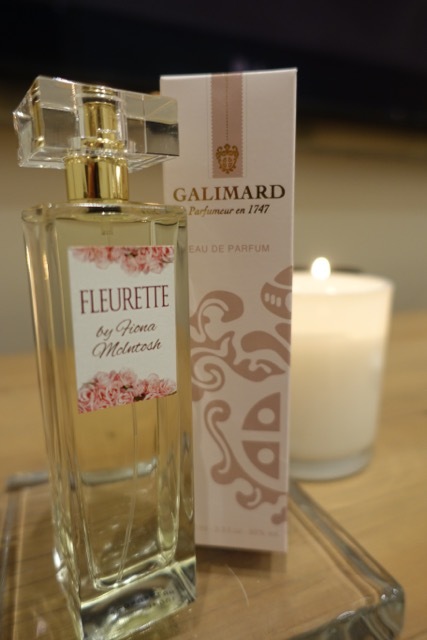 Each bottle of Fleurette by Fiona McIntosh is made by the House of Galimard in Grasse. There is only one size of 100mls, which is larger than the average 75mls of commercial fragrances. The price shown includes GST, all international shipping, Australian import taxes, as well as packaging appropriately for delivery. It does not include delivery via courier which we’re charging at a $10 flat rate. 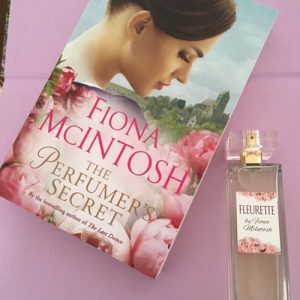 It is a gently floral perfume that deliberately echoes the early 20th century scents, with a particular emphasis on the WWI period when only what was available in Grasse was used to make a fragrance during the time of war. Thus, the clear notes of rose, violet, bergamot, peony come together with the more exotic of vanilla, tonka bean and ginger, while grapefruit provides the key citrus note. Because all of my books feature lots of tea drinking, I decided to include notes of two teas into the mix. There is nothing modern about this fragrance but it harks to a gracious age of feminine allure and is undeniably pretty. It will be bottled and boxed as you see in this image. PLEASE CONFIRM YOUR ORDER WITH YOUR PAYMENT SOONEST. Your order it will go into a final and confirmed list of only 100 bottles from Grasse in Provence. Please note that we cannot deliver via courier to a P O Box so only street addresses will be accepted and we also cannot deliver via courier to overseas.